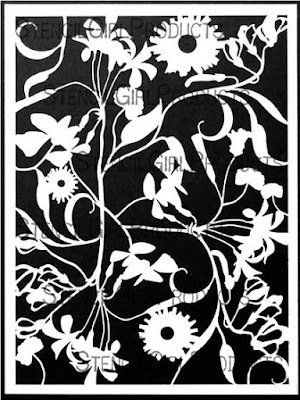 We are thrilled to offer you new stencils, a floral, and 5 abstracts, by two of our wonderful designers! 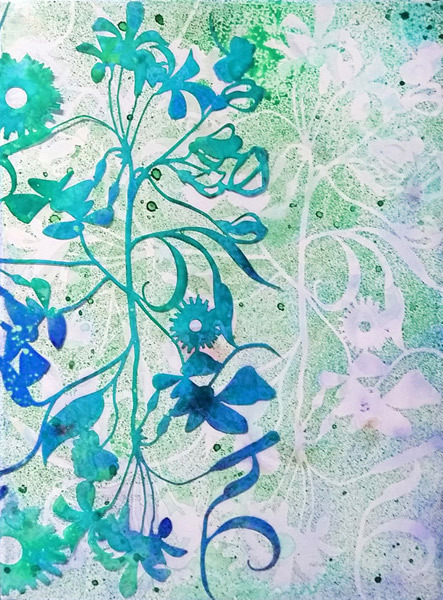 Wildflowers, Purple Shamrock blooms and buds with leaves, Maidenhair ferns as well as other leafy plants clustered in Cecilia Swatton's imagination to become Garden Montage. This 9” x 12” stencil celebrates the beauty and nearly endless variety of flowers. 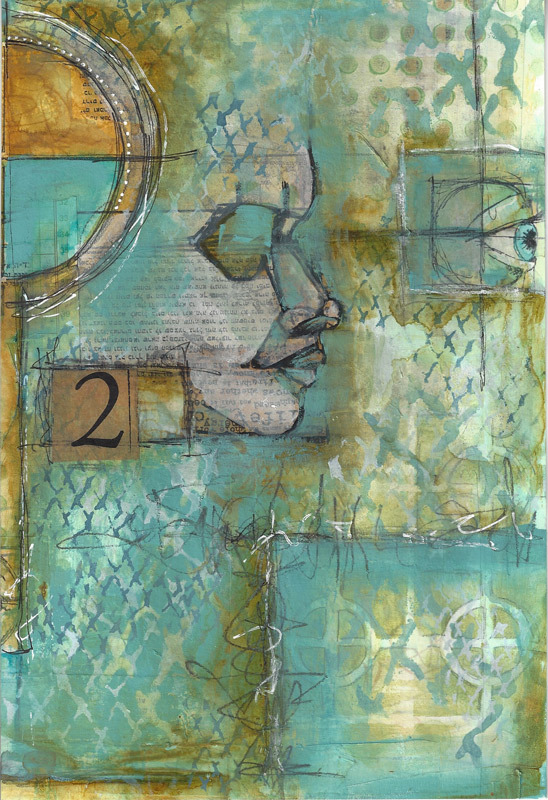 There are a few patterns Pam Carriker’s Journal Textures #12 and reverse #13 stencils might call to mind... rough yet organic holes, honeycomb, punched holes, waste from a sheet of cut sequins. 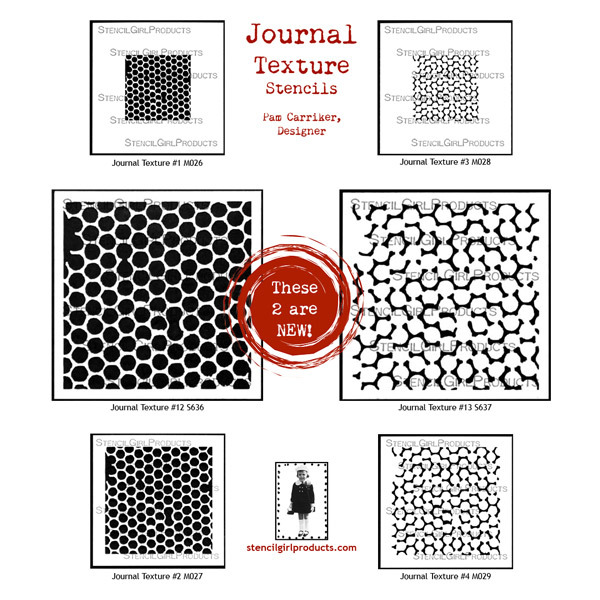 Whatever these stencils depict in your mind, they will certainly make lovely organic patterns in your art! 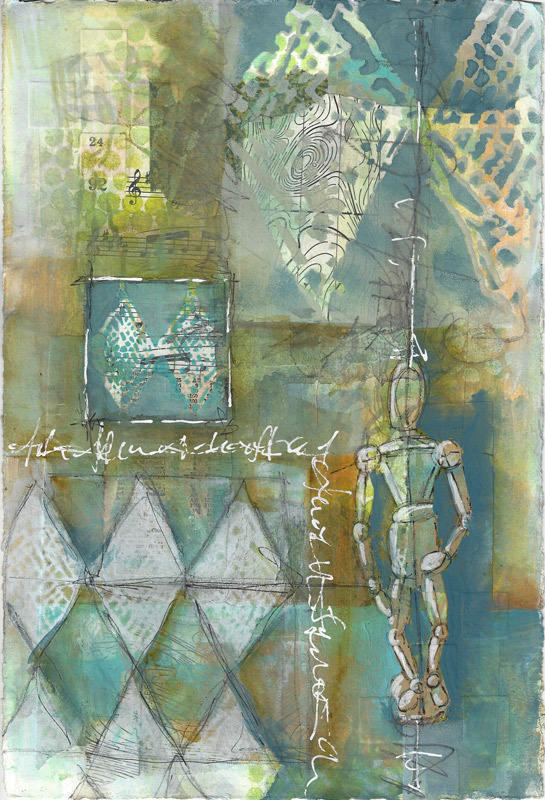 The tattered harlequin pattern of Pam Carriker's Journal Texture #9 and #10 stencils are sure to be pleasing to the eye in your art, as background or focal points. 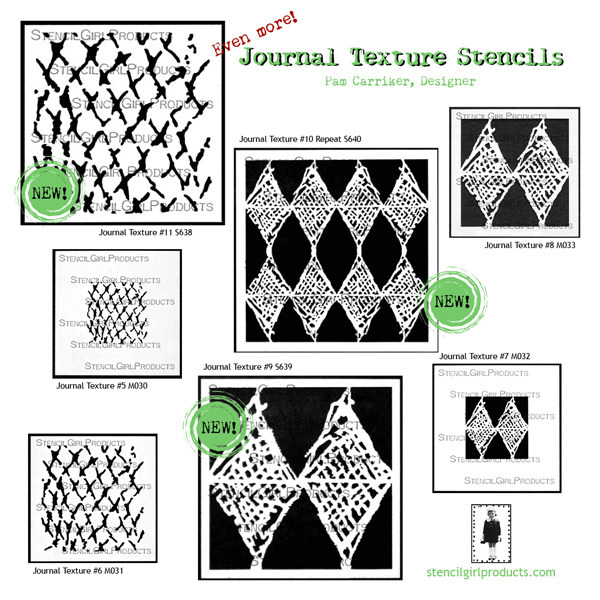 Reminiscent of chain link fencing, tire tracks, and Xs, Pam's Journal Texture #11 stencil will get the job done in your art! Will you choose flowers, textures, or both? Discover the latest stencil designs HERE. Wonderful stencils and creative projects! Thanks, Jean, for your kind words. 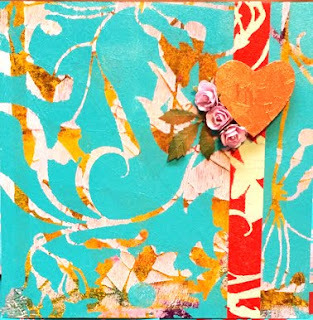 I hope everyone will visit http://heartworkbycecilia.com daily, starting today, to see a variety of ways to use this new stencil. Definitely will get some of these! Love all the new stencils. 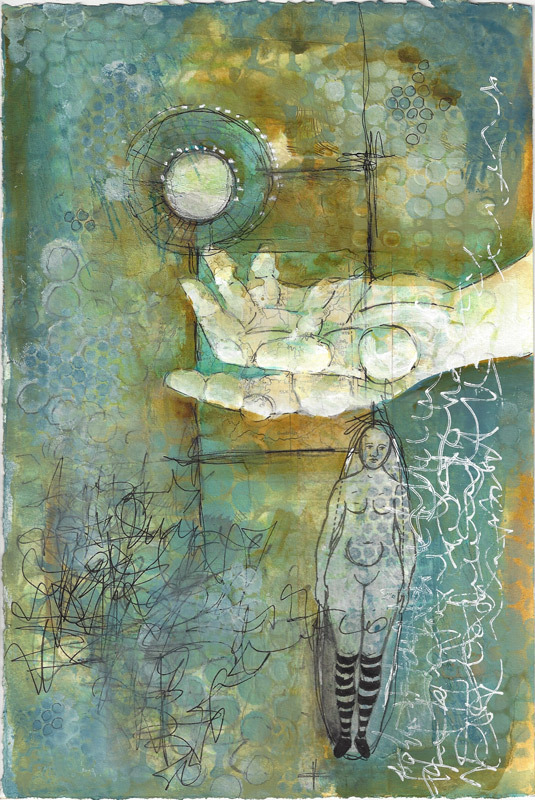 Love all the layers mingling in together. The textures are fab.